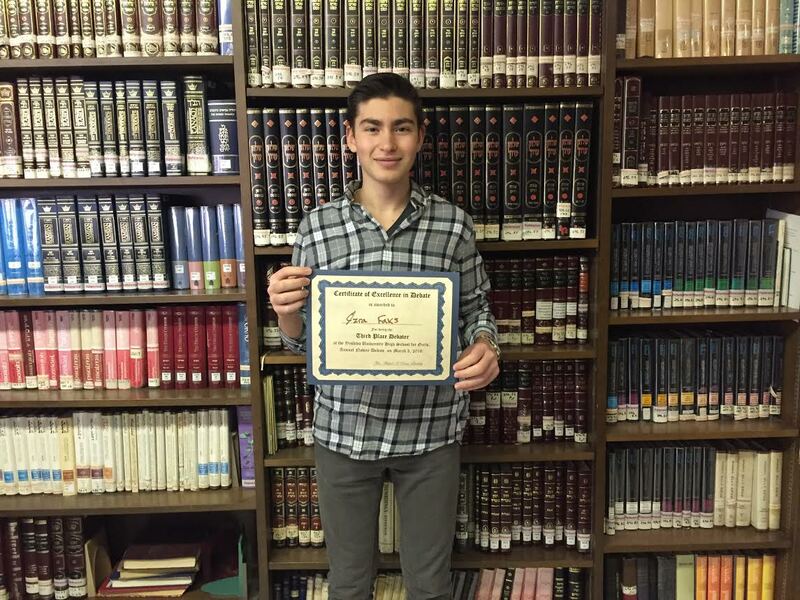 The Yeshivah of Flatbush JV Debate Team made an impressive showing at YUHSG/Central's novice debate tournament on the evening of Thursday March 3, 2016. 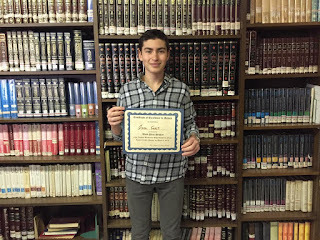 The team of Ezra Faks and Julie Saadia won their first ever debate match and Ezra was awarded as "3rd Place Speaker" of the entire event. Elie Feldman also performed admirably in his matches. We look forward to future success with the team!